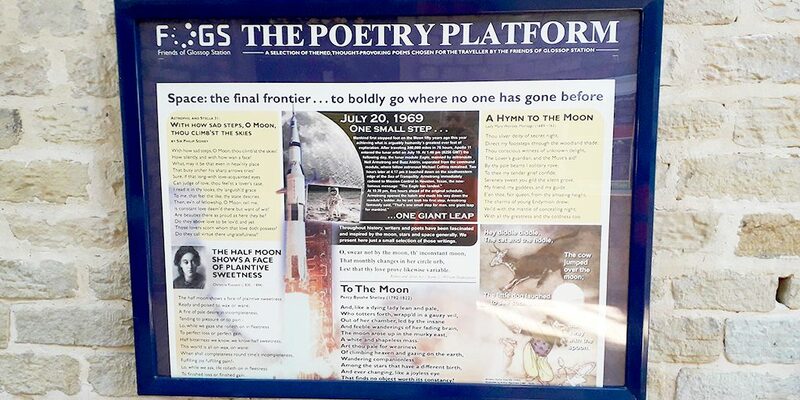 The Poetry Platform takes to the space age at Glossop Station. Penny Greenwood and Paul Marsh have selected the poems and Paul has created an eye catching design which includes appropriately an Apollo moon rocket. The display is already catching the eyes of travellers passing through the station.